Meeting destinations with unique venues are what truly set a destination apart from the rest. And in Dublin, you’ll find meeting spaces that will inspire and excite your attendees. 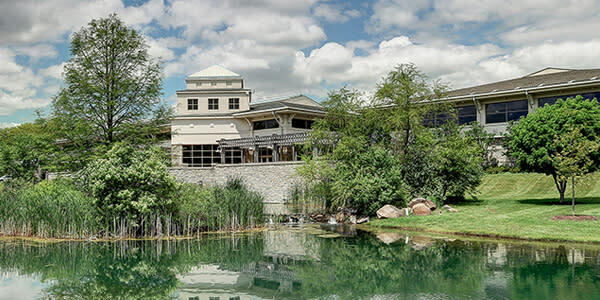 From cocktail receptions at the #1 zoo in the United States to a Tuscan-style boardroom overlooking a vibrant vineyard and lakefront property, let Dublin’s team of experts help you create an authentic experience for guests. The Dublin Community Recreation Center offers a variety of venue spaces to choose from including pool facilities, a gymnasium, smaller meeting rooms and a community hall featuring complimentary audio/visual equipment and high-speed Internet. With areas available in four separate parks at the center, the property is ideal for company picnics and parties. Dublin&apos;s premier co-working and creative meeting space offers 9,000 sq. ft. of unique and collaborative spaces designed for company meetings, networking opportunities, off site events and more. Located in Dublin&apos;s Bridge Park, you&apos;ll leave Brick House Blue feeling inspired and energized. Take a virtual tour of the space here. 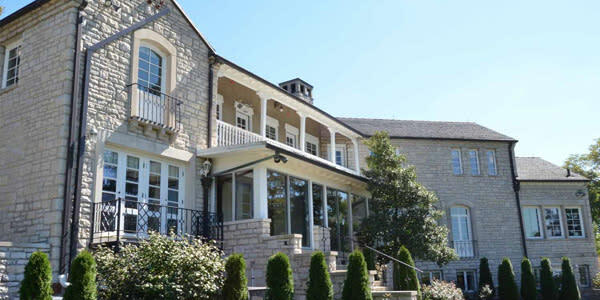 With a Tudor-style clubhouse, the Golf Club of Dublin features a Dublin Manor welcoming guests from intimate gatherings to grand events with up to 200 people. Treat your attendees to an event filled with Irish cheer at the venue that prides itself on Irish heritage and tradition. 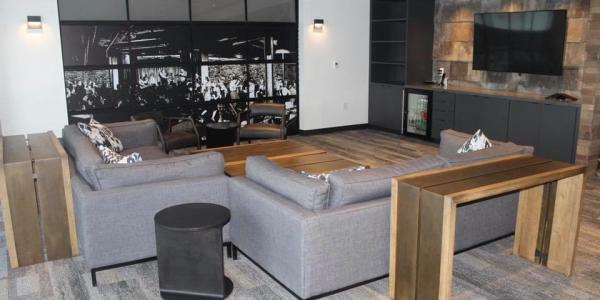 Known as Dublin’s exclusive fitness and social club, The Venue at Corazon offers stunning views of the neighboring vineyards and features over 4,000 square feet of event meeting space as well as on-site catering amenities. The venue’s professional staff is ready to impress your attendees – and you! 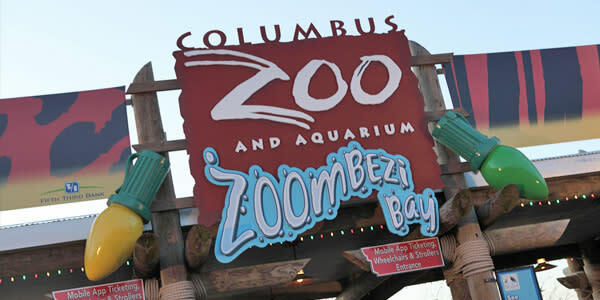 Just a short drive from Dublin, The Columbus Zoo is the #1 zoo in the nation. 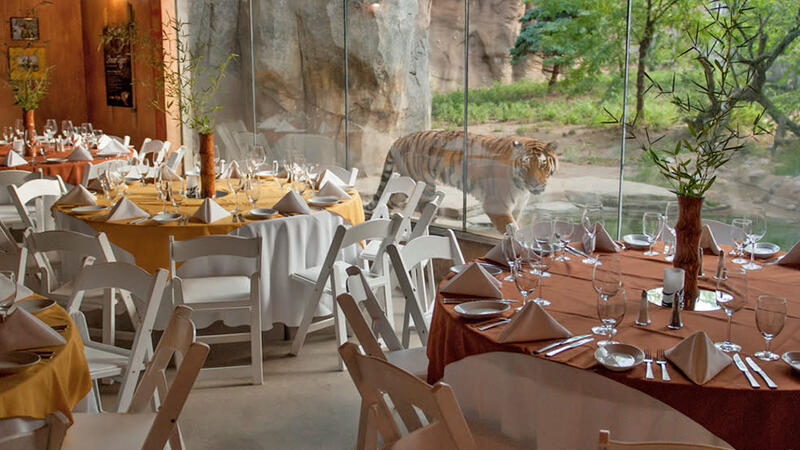 Host your guests in The Heart of Africa with private viewing areas of lions and giraffes at sunset or see the animals up-close with a zookeeper talk just for your attendees. 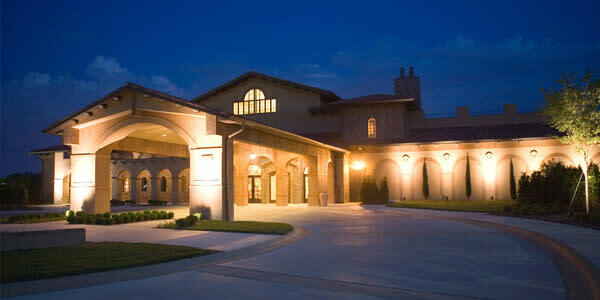 Waterfront pavilions along the Scioto River provide your guests with an unforgettable setting. 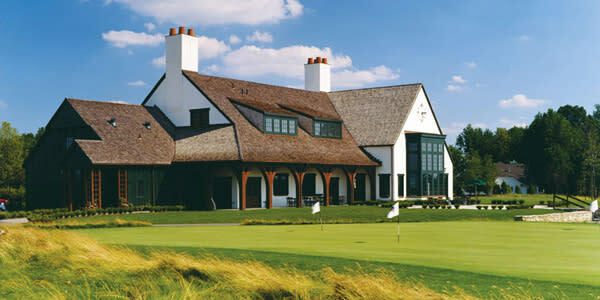 The Pavilion at Muirfield Village Golf Club accommodates up to 220 guests. 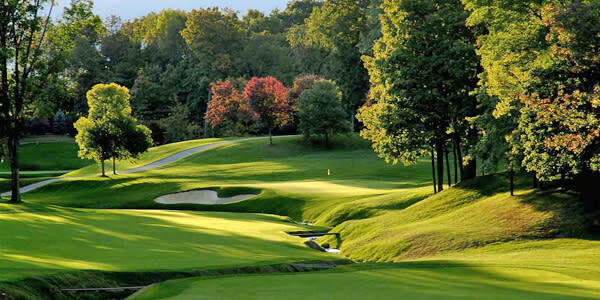 This venue overlooks the 18th green of the prestigious Muirfield Village Golf Course and is home to the annual Memorial Tournament. What was once a home, The Dublin Arts Center is a historic French-Eclectic style building constructed in 1941 and available as a small meeting venue for those interesting in exploring Dublin’s art scene. The building is listed on the National Register of Historic Places and offers guests stunning views of the Scioto River, making it a popular setting for nighttime galas. 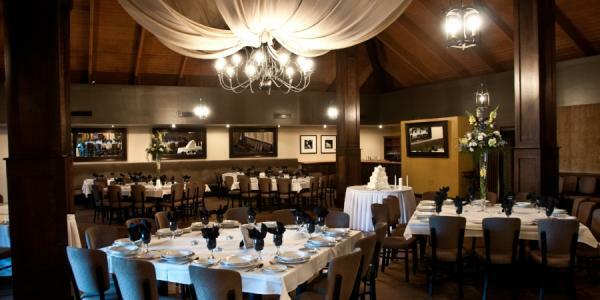 Known for it&apos;s premier banquet and reception venue, La Scala has been an icon in Central Ohio since 1972. It&apos;s modern, distinctive style, paired with an elegant atmosphere, makes this Northern Italian restaurant a top notch (and tasty) meeting experience. Contact us to help you find a location for your next function – with a wee touch of Irish charm included too.